Don’t get burned! We have all heard it a million times but getting a sunburn is very bad for a number of reasons. Not only will it lead to premature aging but more importantly, it increases your risk of skin cancer significantly. Each time you burn you are damaging your skin. There are many ways to prevent burning and reducing prolonged sun exposure is a great plan, wearing layers is helpful, a hat is always a good idea but one of the best things you can do is wear sunscreen. Sunscreen should be worn all year long, on any part of your skin that is going to be exposed. It is easy to remember to wear sunscreen if are planning to spend time by the pool but sunscreen should be worn every day on any exposed skin to prevent burning and damage. There are many kinds of sunscreen products available with a variety of features and SPFs – going to the sunscreen aisle at a store can be dizzying. How do you choose? Which is best for your skin? What will provide the best and longest coverage? Not all sunscreens are created equal and as a smart consumer you should take the time to do your research and read sunscreen labels. By reading the labels when you are shopping for sunscreen you will be able to know exactly what it is in your sunscreen and you can look for certain active ingredients that are important for preventing burns. 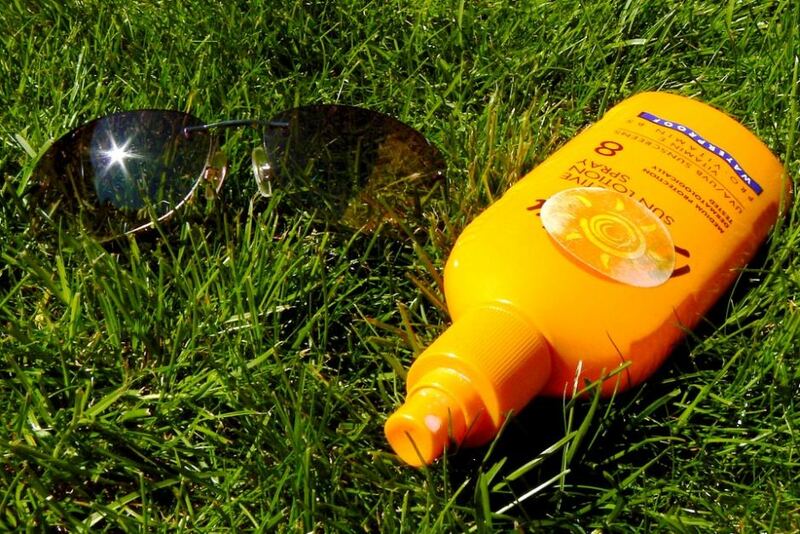 When choosing sunscreen there are certain ingredients that you should always look for. One of the first active ingredients in sunscreen that are important are titanium dioxide and zinc oxide. You want a sunscreen that has one of these ingredients but not both. These natural ingredients create a barrier between your skin and the sun which helps harmful UV rays from getting to your skin. The chemical counterpart to these natural barrier is avobenzone, octocrylene, octinoxate, and more and these also provide a similar barrier. What active ingredients you choose will be dependent on whether you are comfortable with chemical options or prefer a more natural option for sun protection. The chemical options absorb and then release the sun’s rays while the natural mineral options reflect the rays. Additionally, you want a sunscreen that says it provides broad spectrum coverage from UVA and UVB rays because they are different but both can damage skin. Additionally, when considering SPF it is not necessary to always use 50+ sunscreen. Lower SPFs are still effective and often, the real problem that arises is that sunscreen is not applied correctly or reapplied often enough, diminishing its ability. Mayo Clinic discusses how to choose SPF, “SPF stands for sun protection factor, which is a measure of how well the sunscreen deflects UVB rays. Manufacturers calculate SPF based on how long it takes to sunburn skin that’s been treated with the sunscreen as compared with skin that hasn’t been treated with sunscreen. Theoretically, the best sunscreen has the highest SPF number. It’s not that simple, however. When applied correctly, a sunscreen with an SPF of 30 will provide slightly more protection from UVB rays than does a sunscreen with an SPF of 15. But the SPF 30 product isn’t twice as protective as the SPF 15 product. Sunscreens with SPFs greater than 50 provide only a small increase in UVB protection.” Ultimately, when you do your research, ensure adequate amounts of active ingredients are present, apply correctly and reapply often, sunscreen will provide an invaluable barrier for your skin and help prevent skin cancer.